Welcome to Xolton's Gnostic Thread. Here, we weave science, spirituality, and religion into something called the metaphysic. Aristotle brought life to metaphysics when he explored the physical sciences and called them nature. Here, we discover that all is one, and one is everything. “… man, in his inner self, is one with the self of the Universe[i].” Within this sentence lies profound wisdom. The wisdom lies in the identification of the inner-self. We call this inner-self the inner-critic, the authentic-self, and the Christ-self. These are just a few of names we give ourselves. In addition, the inner-self dwells within the inner-reality, which may be the true reality. What do we know about our inner-reality? We know exactly what the spiritual, intellectual, and religious gurus tell us. We are told to seek Christ within. We are also told to go within to find answers to our questions, and anything else we find troubling. In short, we are to seek enlightenment from within. This search often becomes obsessive and may lead to the denial of self. Christ taught us the Kingdom of God lies within. Christ also taught that when we look upon him, we are also looking upon the Father. His last teaching, as recorded in the Gospel of John, was that the Father dwells within him, and he dwells within his disciples. Many spiritual schools teach something similar. The Buddha dwells within each of us. When saying Namaste, we are greeting the Buddha, or more appropriately, the god within whom we greet. Perhaps, this is secret-knowledge. For this lesson, we might better serve others if we use Christian teachings to demonstrate it. Secrets are best kept in the open because most will not believe them to be true. Simple deductions explain some of the mysteries taught by Christ. We see his teachings before the birth of Jesus, and after his transition. We can attribute the last to exposure, but what about beforehand? The concept of the three are one, and yet, separate is a common theme in many of the early mystery schools. From one came many and the many are the One. The idea is very simple and complex at the same time. If God dwells within Christ, then Christ must also dwell within God. This is a simple deduction, which many agree with. When a person lives with another, the two develop similar behaviors. This is because of their familiarity with each other. Their behavior reveals a certain intimacy. The longer they spend time together, the likelihood their actions will mimic the other’s increases until they begin to act as one. Thus, Christ becomes synonymous with God. Christ also said he dwells within his disciples and, consequently, us. If this is true, then we should eventually take on some of Christ’s qualities. By taking on some of his characteristics, we also take on characteristics God. This is where people betray themselves. The idea of becoming Christ-like, and therefore, God-like is an enormous attribute and responsibility. As long as we separate Christ and God, we avoid those qualities and actions called virtuous, righteous, and truthful. While we see God and Christ outside of ourselves, we can take comfort in knowing they are convenient scapegoats. For these people, everything can be in God, especially they. God can be in everything, as long as God is not in them. For the idea of God, existing in human beings is blasphemous. Humans are far too imperfect to contain perfection. Therefore, they deny God and vainly attempt to evict God from themselves and others. For them, perfection is blasphemous. There was a time with I would ask why people chose to separate themselves from their God, but not anymore. Responsibility is why others dissociate themselves from their God. They become inconsistent with their belief. The Hebrew Testament begins with God creating the Earth. One might infer that the definition of God is Creation. We were the last creation and were made in the image of God. Thus, God is also the Creator, whom we resemble. When God began meting out discipline, the idealized version of God became altered. What was thought to have been perfect became imperfect. God cannot possibly have created imperfection if God is perfect. Yet, here many of us stand, claiming to be imperfect creations of a perfect being. Perhaps the imperfection does not lie with us, but within our perception. Most agree with the assumption that God and Christ are perfect. They may also agree that all they create is perfect. Yet, they will also counter in the same breath that all is of perfect creation, except humankind. If we were to scrutinize nature, we will find that imperfection abounds. They may even claim that a creature’s slight imperfection is what makes them unique. They may even claim the creature is perfect. However, we are different, as we are imperfect. While our imperfections make us unique, they do not make us perfect. We are not of nature. How ridiculous is this? We are all perfect because our creator is perfect. Our creator is God, and because we are of God, we are part of the perfection. Unfortunately, it is not enough to understand, because it is not the same as knowing. Without knowing this to be true, we insist upon our separation through ignorance. Having a connection with our Creator is much easier to bear. Seeing ourselves as being connected to our Creator, the Divine, the Universe, or the Infinite is often too much. Having a relationship with our Creator allows us to acknowledge those aspects of God that we are in agreement with, and to dismiss the rest. Thus, our dissonance is not disturbed. Some are aware of our inner reality and comprehend the true meaning of being alive. They are able to grasp the concept of the many who are the one. They know the hidden meaning of what it is to be alive and to be dead. They recognize God within All. They no longer comprehend the dissonance experienced by others. [i] Besant, Annie (1897). The Ancient Wisdom: An Outline of Theosophical Teachings. Wheaton, IL: The Theosophical Publishing House. I can understand why reading is seldom encouraged. The approach has little to do with controlling the masses. Its more about perpetuating a deception. For the most part, people submit to others of their own choosing. I find this upsetting, disturbing even. However, pause and consider those you’ve encountered during the week. Consider those who felt trapped or overwhelmed. How did they allow that to happen to them? Did they follow through on their own, or did they follow another’s lead? The masses are starving for leadership. What’s amazing is that the leaders are few in number and could easily be over powered. The question becomes why don’t they. The response can be found in the Who’s Won’t Get fooled Again; Meet the new boss, same as the old boss. Those in leadership positions are not necessarily leaders. They could be people starving for power and have usurped the guise of leadership as a means of satisfying their hunger. This has often been the case. Their intent behind the lack of educational encouragement or reading is to discourage those who would challenge them. The curious and the inquisitive often discover truths, which in turn challenge those in positions of power. Decades ago, when I first began inquiring into the validity of spirituality and the domain of religion, what I found was not unique. The questions put forth were not special in any way. What is God? Why is my fate determined by one supreme all-powerful being? What is spirit? What is soul? The company line, meaning the traditional response was and still is, don’t question God. Why can I not question God? This and similar questions are dangerous avenues to travel in pursuit of truth. However, it is not the validity of God I wish to present. I would like to examine spirit and soul. The response to what is spirit and what is soul appears to be interchangeable. If they are the same, why do we treat them as though they are not? The worst thing the average person can do is to set an intelligent mind loose upon a vast amount of information without knowing their agenda. Simply stating truth would be careless, because truth is relative to perception. To say truth is unchanging demonstrates ignorance. Such was mine until the realization of all inquiries became apparent. The nature of all inquiries is the need to understand. Comprehension is what makes a person dangerous to false leaders or power-hungry imposters. Knowledge is nothing more than loose ideas scattered about like seeds on the ground. Some will take root, embedding themselves deep into the minds of the curious. Others will barely take hold, risking the off chance of being supplanted. The rest, lie upon a sparse landscape starving. Many religions utilize the words spirit and soul. I say religions and not religious philosophies. The philosophies are often more practical and the proponents less volatile. Interestingly, there are few of both. Hinduism and all of its derivatives, which include Buddhism and Taoism, are primarily comprised of philosophies. Judaism, which is said to be the basis of Christianity and Islam, depends upon a duality. An interesting observation is the first is about the realization of suffering and relieving it and the second depends on it. However, all religions share the same source and basic terms, such as suffering, the soul, the spirit, and some sort of continuity of life. What is spirit and what is soul? I thought who better to ask than those attending Spiritualist churches. After all, they profess spirit communication and should be some sort of experts on the topic. The response received was that spirit is the personality of the departed. This is to be expected, as this is part of their doctrine. When questioned about the soul, the response was silence. Would this mean there is no soul? One of the many things separating us from our ancient ancestors is the words we use and how we use them. We tend to blend words together or add to their definitions because some believe close enough is good enough. This may be due to our desire for efficiency. Texting is an excellent example. Some use shortened versions of words in order to meet the limitations of phones, networks, and attention spans. Our ancestors had a bit more freedom and chose to be a bit more precise. The ancient Egyptians believed the Ka, which is the life force is passed on from a child’s parents. The Ba is a child’s personality, which is developed throughout life. Upon the demise of the body, the Ba moves about of its own accord. 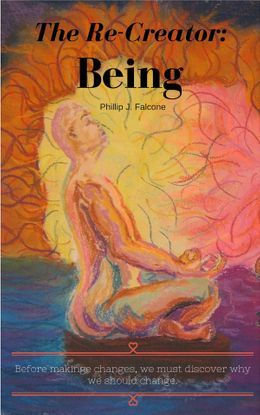 Meaning, the Ba is independent of the body and is the soul. Ba is our personality, which develops throughout our lives. When the body ceases to function, who we are is reduced to an essence; much like a fragrance left behind after all else has been simmered away. This essence, this Ba is what escapes from the confines of a body. We now ask, what is spirit? Our society or perhaps we should say today’s religion, then again, this is also incorrect, kneaded together Ka and Ba into a single being. The idea of a single supreme being is not of Christian origin. The Greek philosophers had already discussed the matter and concluded that a single supreme being was more beneficial to human kind than having many gods. While this makes sense, the concept is not theirs. The Egyptian Pharaoh Akhenaton introduced the idea. His version was not a vengeful or loving god as most modern religions condition us to believe. His was one based on observation. All life depended upon the sun for continued existence. Thus, the single most important aspect of all nature should be revered. The Hebrews may have stumbled upon a similar idea. Perhaps they lost track of their origins as they mingled with the various cultures. Abraham, the patriarch of the religious culture we have come to call Christianity, wandered about the plains of Mesopotamia, moving his herds from one pasture to another. Like the people of his time, he built many altars, giving thanks to the elements. One such element was that of a mountain, he called El Shaddai, god of the mountain. While Moses’ encounter in Midia was slightly different, he renewed the belief. Instead of a mountain, his was the foot lands of a volcano. However, earlier still was the god El of the city of Ugarit off the Mediterranean and north of Lebanon. El is the creator of all creatures and is the father of humankind. Though not the singular god we are familiar with today, El was/is the progenitor of all gods. During the Dark Age, which is so named because of the desire to suppress any form of progress that may have threatened those in power, established a pattern of blissful ignorance. While the higher hierarchy of Christianity may have understood the difference between the words spirit and soul, the lower echelons and peasantry did not. They were encouraged not to read and to accept what was provided for them. Perhaps here is when the two terms began to merge. Eventually, the many overthrew the few. Yet, because the many didn’t know any better, the tradition continued. Thus, today’s religion merely follows the pattern set before it. Please, don’t make the mistake of thinking the religious are doomed because of changes in their history. Not one thing is immune to change. To think otherwise is foolish. This does not mean anything changes at the same pace either. Through change, the term spirit was expanded to include many attributes, much as the Hindu god Shiva. However, change for the sake of change is never good. Not all changes are beneficial. Before ghosts became synonymous with the word spirit, the word meant swirling dust, and spirit was breath. Many of the early cultures also defined spirit as breath. The modifier of spirit determines the type of breath. Typically, the word had something to do with life, as in the breath of life, the animating force of all. Naturally, we can’t allow this because it smacks of paganism. Before the onset of gods, there was simply breath or anima as we call it today. Anima, that which vitalizes all that is alive, that which animates, continues to be worshipped. The life force or spirit is described in a variety of ways. Chi, Ka, and H. P. Blavatsky’s Fohat are only a handful of terms, but they all refer to the same thing. They refer to the creative process we call life. The soul, while being intimately connected to spirit, describes what follows the coalescence of the animating force of creation and intelligence. While this is a poor description and possibly incorrect, it is the best we can muster. The forces at work are so entangled, it is impossible to separate any of them, even for a brief explanation. Many of our ancestors realized the hopelessness of such a task. Yet, the need to do so was and is overwhelming. Psychology offers a way through the development of the personality that demonstrates the fluidity of soul. From the perspective of personality development, our traits would be comparable to spirit. As life is dependent upon that animating force, so too is our personality dependent upon our traits. Traits are received through our parents and are relatively steady throughout our lifetime. This doesn’t mean they cannot change, if they do it’s a slow process best explored through the teachings of reincarnation. Traits are generally seen as outgoing, neuroticism, openness, agreeableness, and conscientiousness. All of us have these traits, and some are more dominant than others. From these our personality develops. Throughout life, we experience numerous events that impact our development. This doesn’t mean other events don’t, because they do. Major events such as the death of loved ones, the birth of a child, and certain accomplishments have an almost immediate effect on us. Other events such as debt, marriages, and the many discoveries along the way have more of an accumulative effect. Only upon reflection do we discover our choices are linked to our personalities. Another way of presenting this is personalities are the summation of our habits. Depending upon a person’s belief regarding an afterlife, their personality may be a deciding factor. For those subscribing to Karmic Law and reincarnation, the personality one has developed may allow them to move up the evolutionary ladder or down the social ladder. For the Christian, the personality determines where they journey next, to heaven or to hell. To the Spiritualist, the personality follows their dominant habits. Theirs is a belief in life continuity based on the continuation of habits, with the option of improving them or continuing as they are. The personality or soul transitions into a new aspect of life when leaving the vessel. Andrew Jackson Davis compares the transition to the departure of a trip. Upon arriving at our destination, we no different than when we left. Soul and spirit are not synonymous. For those who like their Bible, just read the first two chapters of Genesis. They are complimentary. Don’t allow their relationship or their designations to become blurred. Returning them to their former positions doesn’t change anyone’s belief. The spirit is the aspect of God within, that which animates them shaping the soul. When spirit withdraws, the soul is ready for the next portion of the journey. Akhenaton’s monotheistic religion was not in recognition of a single god. He saw the sun as being the one obvious component in all that existed. The sun became Egypt’s living god (Assmann, 2002). Assmann, J. (2002). The Mind of Egypt. New York: Metropolitan Books Henry Holt and Co., LLC. Bahm, A. (1964). The World's Living Religions: A searching comparison of the faiths of East and West. Carbondale and Edwardsville, IL: Souther Illinois University Press. The Trustees of the British Museum. (2010). Journey through the afterlife: Ancient Egyptian Book of the Dead. (J. H. Taylor, Ed.) London: British Museum Press. We spend so much energy struggling to stay in the present because that is where we are told to be. We often forget how important the past is. Even if we neglect to review our past, and what it means, we shouldn’t dismiss it. I’m not talking about living in the past. I’m talking about allowing it to influence the present. We often wonder how we got here. Most of us begin looking for some mystical causality. We’re told we are here because the Universe brought us into being, or we are here for a reason and we must discover our purpose. The Universe did bring us into existence, and we probably do have some role to fulfill. However, does it answer the question? Have any ever considered evolution? Hah! That’s obvious, but what is evolution? Evolution is a process spanning eons. Evolution is the essence of the Divine. While we force a starting point for our existence, chances are no such point exists. Did we simply come into being? Not exactly, and most of us are not concerned with the evolution of humanity. We’re satisfied with the idea of a supreme being miraculously placing us here on the firmament of Earth. From an individual perspective, we’re satisfied with birth as our beginning, followed by separation, fulfillment, dejection, and any number of events. The mind has difficulty fathoming an existence with no beginning, or is it we who cannot fathom no point of origin? Is this a flaw in the relationship of mind and brain? In order to keep our sanity we select a logical methodology, which requires a beginning. Is this the brain refusing to accept information from mind? Is it possible that we reflect the cosmos? Will its exploration will also provide us with an answer? Science provides us with a point of origin, the single cell organism. From simplicity, came complexity. In The Secret Doctrine, the beginning of the cosmos is described or represented as a disc or circle. From this disc, the universe came into existence. This disc could also represent energy. In that case, the point of origin is lost. Energy cannot be created. The next symbol is the disc with a point in the center. We know we are composed of male and female energy. At least, that is what we tell ourselves. Male energy, and consequently female energy, is derived from another form of energy. This means energy is genderless. Now, we have a point of origin. We began as androgynous beings. The point is the first differentiation. 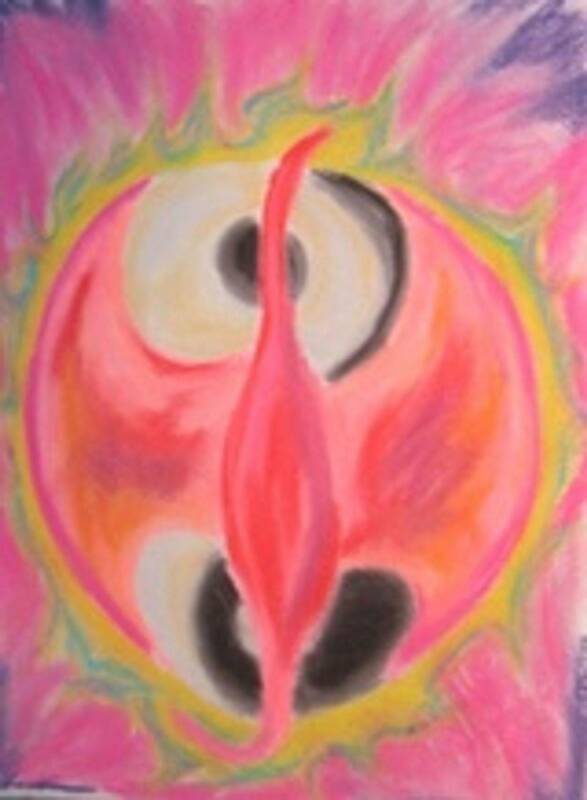 According to the Gnostics, this differentiation was along the lines of what we call female energy. The disk is the Absolute, which is perfect in all ways because there is nothing with which to compare it. From the Absolute came the Barbello, often referred to as Sophia Pistis. Cosmologically speaking, Creation depends on certain conditions in order to begin. Here lays the true mystery. Either way, from the differentiation, the first life is formed. A single cell organism is created. The next stage in creation is demonstrated by the point dividing the disc. The first cell divides, becoming two. From here, we have several events occurring. Esoterically, androgynous divides, leaving us with male and female. Biologically, creation begins building upon itself. The cells divide again, giving us four quadrants. Each time the circle grows larger and cell division increases. Eventually, the circle becomes the lotus, the crown chakra, and creation evolves, building on a variety of levels and realms. What we see each morning in the mirror is a result of Creation’s progress, or evolution. Evolution occurs through energy, and all energy follows the pattern laid before it. Morphogenesis is how the patterns are implemented. These patterns exist in what are called morphic fields. The information within them is what provides our genes with instructions. Morphic fields exist wherever Creation has made a pattern. They also exist wherever patterns exist, whether in nature, social groups, cultures, or our behaviors. They exist in the very fabric of the cosmos. Behaviors develop in the same fashion as cells assemble themselves into life forms, by building upon themselves. They develop slowly and often haphazardly. We react to similar situations in similar fashions. This is how we develop. Our actions evolve from simple acknowledgement to the more complex greeting or insult. As we discover what actions elicit what responses, we fine-tune ourselves. Yet, the entire ritualistic behavior is based on simplicity. The past exists in all things. The past is the foundation on which the present is built. Energy does not exist in the past, nor does it exist in the future. Energy exists only in the present and it is through the present we must experience the past and the future. While experiencing a neurological event during September of 2004, a voice guided me. Several years later, I discovered where the voice came from. During the interim, I believed that voice was the voice of God, or perhaps of a spirit guide. I discovered the voice was my own. I provided encouragement to myself during a time of need. During the early part of 2012, I was following some chakra exercises. This particular exercise was to send love to the child version of myself. Instead, I chose to send healing energy to myself during the ordeal. Days later, I realized the voice I had marveled at and had spoken of was in fact, my voice. The so-called limits of time had been circumvented, their illusion pierced. In any event, the voice was my own. In another instance, in an interview, Mary McTaggart described a doctor who set out to disprove the efficacy of hands on or distance healing. He asked a group to meditate, sending healing to heart patients. Unbeknownst to them, they were sending energy to a group of patients who had already gone through surgery. The healing was actually sent into the past. The results were seen in the present. What this demonstrates is an intimate relationship between the conditions of time. The present is a fixed point. The past and future are conditions of the present. When viewing the sign of infinity, we see the past greeting the future at a single point called the present. Others may have had similar experiences, which is why they claim time is an illusion. Holographic theory suggests that encapsulated within every particle is an image of the whole. When a holographic image is cut up, each fragment contains an image of the whole. When we apply this to energy, then every particle of energy contains the history of its being. Another way of looking at this is that within each particle of matter, a blueprint of the cosmos exists. Thus, within every aspect of creation is the universe. No matter how much we deny ourselves of the revelations, it remains. Every second of every minute is a record of what was and what is to be. Do not think this suggests predestination. Time is part of the quantum matrix. This means all events are occurring at this very moment. We cast our awareness towards these seemingly infinite events as they are occurring. Only when we focus on a single point does the brain recollect them. This also suggests a multi-universe or a series of alternate universes being echoes of each other. One can only wonder if their voice carries though the barriers separating themselves. Perhaps, this is why the mind wanders so much. We must regain focus before we become lost in thought. Whose thought are we lost in and who’s thought do we focus upon? Substance is the evidence of energy in the present. Objects can only be solid as long as they remain in the present. When the object’s solid form is destroyed, by whatever means, the balance of energy associated with the object retains a record of the whole. The record includes a representation of the object and the events associated with it. This type of memory is a collection of holographic images. The ability to discern these images is called Psychometry. The present is built upon the past. Who we are is a product of our past, not just our identifiable past, but also the energy associated with it. This includes what we call reincarnation and more. We are a part of every living creature’s memory. Essentially, we are all integrated into each other. Every person we have met has become integrated within our genetic structure and energetic lattice. “The Buddha said that his body is not mine or anybody else’s. It arises due to past causes, and for now, it should be felt and experienced. Not only our neurosis, but the structure of our body is encoded in our genes.” The next time any of us wonder why we are here, or what our purpose is, we should take time to ponder our past. We are here because of it. I am writing this because of my past, and my past is now associated with yours. Meditation is a topic we often return to, because of its many boons. This time we would like to touch on something John Hagelin said, in his 2006 interview with Byron Belitsos Meditation with intention, adds to the direction of thought. Thus, when meditating, consider saying a prayer of intention. This may direct the energy being gathered and sending it in a specific direction. Every time a prayer is said, an intention is sent to the universe. When meditating for the purpose of developing clairvoyance, mediumship, or intuition, state this as your purpose for this particular meditation. Prayers don’t have to be offered every time we meditate, but they don’t hurt either, mostly they don’t hurt. Napoleon Hill, in his book Think and Grow Rich, suggests we write our own prayer or desires because saying another’s prayer does us no good. He’s right. Words never hold the same meaning from one person to the next. Just because a prayer sounds pretty, doesn’t make helpful. Many are able to offer insults as grandiosely as the most profound compliment. We don’t have to use fancy words unless that is who we are. We do have to be sincere, as one should in all they do. Many meditate for guidance, asking no one in particular. Sometimes, a response is received, though it is often vague. We can ask our guides and hope for the best, that is if we know who they are. We can also arrange for our own guides. Napoleon Hill set up an imaginary cabinet to discuss his dreams, plans, and challenges. The purpose of this type of meditation was to receive assistance from a higher source, namely, those he admired. Members included Abraham Lincoln, Napoleon Bonaparte, Thomas Edison (who was alive at the time), Ralph Waldo Emerson, and Henry Ford. I developed board whose members consist of Rudolph Steiner, C. W. Leadbeater, Helena Blavatsky, Napoleon Hill, William James, Rupert Sheldrake, Rev. Harry Hilborn, Rev. Louis T. Miller, Rev. Benjamin Purnell, Frank Frazetta, Botticelli, Albert Einstein, and Robert Heinlein. Some are scientists, others are artists or writers, and the ones not recognizable were people I knew. All are those I admire and respect. With this group of notables, I was able to put together a small workshop on shifting from positive thinking to optimism, otherwise known as The Re-Creator: Being. Any of us can put together a similar group as well. Call out to those you would like in your inner circle during meditation. Set a day and time each week to meet with them, and keep notes. By adopting this or a similar strategy, you will be well on your way to becoming exceptional. Are Evil Works Ever a Good Deed? While instant messaging with a friend, something impinged itself upon my awareness causing me great concern. The friend indicated going to a healing circle, which is good. Being with like-minded people is good for our wellbeing. What troubled me was the letter she had forwarded. Time and location were at the outset. What followed caused concern. The letter begins with a call to balancing the planetary grid. Interfering with nature has always proven dangerous. Then, there is the part about The Brotherhood instructing the followers to take a crop circle into the ionosphere and drop it on anyone or place that may be experiencing distress due to President Trump. Later, the author adds, as though it were an afterthought, to ask permission. How does one ask as stranger permission to drop a visualized crop circle on them because they have been judged to be in distress? Especially when they are the judge and the determination is based on another’s ideas. Sure, many expressed their dissatisfaction with President Trump in a variety of ways. This is their right. Everyone expresses dissatisfaction, joy, anger, and everything in between. What is disturbing is they believe it is okay to force their preferred expression upon others. They also encourage others to force them to come around to their way of thinking. What’s wrong with this picture? A large number of people accuse Orthodox religion of manipulating the masses. They abused their power, they claim. We have a generation’s long complaint about such actions, against similar institutions for interfering with the lives of citizens. Do these people who encourage others to drop crop circles in the cause of peace realize they are committing the very act they protest? Visualizing a crop circle descending upon those who don’t meet their criteria of peace is no different from those religious zealots forcing their doctrine upon those not meeting their criteria of faith. I do quite a bit of researching because I ask questions. Thus, the information read is vast and informative. The practitioners of old Christianity are not the only institution to exert control over the masses. Governments control others in favor of the majority, at least in a democracy. As a condition to living in any country, a person must acquiesce to the law of the land. The United States is one that allows its citizens to have a voice in how they are governed, at least theoretically, and select candidates whose ideals are close to theirs. Granted, this doesn’t always appear to be fair, but all have agreed to this. Thus, we vote and must abide by the results. Many institutions are tasked with protecting the public through manipulation, or control. The field of psychology trains people in the art of manipulation as a means of curing those existing outside what the majority has deemed normal behavior. Such skills of exploitation are exercised by all in society. Those not meeting the standard are marginalized, especially if those persons are not adept at concealing their oddity. While the definition of occultism is secret knowledge, the practitioners are often seeking some form of manipulation. This probably is what gives rise to such ghastly responses. Opposite of occultism is religion, which also seeks to manipulate others. The difference between them are the leaders who claim permission from a supreme deity. What all have in common is their intent to undermine the individual, often through fear. Fear is an excellent motivator. People generally don’t think when in fearful situations. They act and react. Such responses are often due to the influence of our emotions. Another concept they have in common is they insist these secret manipulations are acceptable because they are done through love. Whose idea of love are they following? After all, no universal definition of love exists. People abuse others and accept abuse because in their mind it is love. People are murdered individually and en masse as expressions of love. History and current events have laid out numerous examples of someone having the right to force their ideals upon others, and if they refuse, then it’s okay to murder them. Is this even remotely love? We knowingly give permission to governments and similar institutions to control us as a means of protection. Even with religions, many give them permission to alter their perception of life. Those not conforming are generally not physically harmed. The harm inflicted is mental and emotional, which are long lasting compared to broken bones and lesions. Is any of this acceptable? Is it acceptable for leaders to manipulate others because their behavior is disagreeable? It shouldn’t be, but it is the norm. While dropping a visualization of a crop circle seems harmless and beneficial, is the intention behind it harmless? This presents an interesting quandary. Many develop or seek out alternatives to what they disagree with. Alternative religious organizations as opposed to orthodox religion merely an example. Yet, they often resort to the same methodology as those they sought to escape. People act this way, because they have been conditioned to do so. We can break the conditioning by acting with awareness. Of course, this means we should allow them be disagreeable, even if we are of the opinion our course of action is for their benefit. Contemplating such actions is good; this is how we develop awareness. Before exerting our influence upon others, we should first exert it upon ourselves. Perhaps then, ideas such as forcing others to act in a way we consider peaceful will become distasteful. If you want peace, then start a meditation group. Studies have demonstrated reductions in crime, violence, and other forms of social stress in communities where such groups practice (Walton, Cavanaugh, & Pugh, 2005). Walton, K., Cavanaugh, K. L., & Pugh, N. D. (2005). Effect of group practice of the transcendental meditation program on biochemical indicators of stress in non-meditatirs: A prospective time series study. Journal of Social Behavior and Personality(17), 339-373. The establishment of the three aspects of humans was done so in order to establish authority over others. Thus, it is humans that have created the class system in order to enthrall other, not God or any other aspect of nature. We are the only entities upon the Earth that takes great pride in separating ourselves from ourselves, from each other; from nature, and from God or Creation. We are, perhaps the only society within nature that actively separates ourselves from the very thing, condition, or aspect they seek, in order to form a more perfect unity with ourselves under the pretenses of seeking unity with God or Creation. The Mystics desire this, while the Occultists see through this. One has to wonder if the hidden Hierarchy, Council, or Hosts are an invention of our making, or if we mimic them in an attempt to place ourselves above. Reminds one of the story of the King of Tyre who sought to place himself above God. Inspired by Adolphe Frank (1926). The Kabbalah, or the Religious Philosophy of the Hebrews. Translated by I. Sossnitz. Nature manages to maintain a reasonable equilibrium of those who have mystical experiences and those who do not. Perhaps the belief that anyone can be a medium/psychic is a myth. Interestingly, one who kills and is willing to suffer the consequences is practicing a higher religion than one who prays for more than they deserve. Ki, Chi, or Qi? So many spellings. Although I am not referring to any of the early writings of the Rig Vedas, I am referring to possibly the first time the word was used. The earliest known Gods were of Sumerian origin and the gods were conceived as having human form. This probably made them easier to relate to. An was the male counterpart of Ki. Together, they formed the air-god Enlil. Ki is female energy and the life force. Kramer, Samuel Noah (1972). Sumerian mythology: A study of spiritual and literary achievement in the third millennium B. C. University of Pennsylvania Press. Philadelphia. There is more..... continue the exploration. Ignorant belief is typical of many. It is a belief without understanding. Adapting to the power means surrendering to divine will – aligning your purpose with God’s purpose. Through faith in God, all things are possible. Prayer connects you to divine mind and if your prayers are an expression of gratitude and thanks giving for the blessing you already have instead of a request for things you do not have, you will obtain results much faster. Applied faith is a state of mind that must be cultivated, and the weeds in that garden, which limit its growth through fear. Dreams. Where do they come from? What drives them? What can you learn from them? These are the questions addressed in this presentation. Group perceptions of societal traditions often lag behind social change (. Social groups and possibly groups within social groups vary through their frame of reference causing commonalities to be jumbled or even non-existent. In other words groups of like-mined people often found through and within social institutions such as politics and religion, are often lost in social change. This may be caused by a lack of diversity in individual associations and peers. Zou, Xi; Tam, Kim-Pong; Morris, Michael W.; Lee, Sau-lai; Lau, Ivy Yee-Man& Chiu, Chi-yue (2009). Culture as common sense: Perceived consensus versus personal beliefs as mechanism of cultural influence. Journal of Personality and Social Psychology 97 (4) 579-597. Once you know the secrets, which really aren't secrets, the way you experience life will improve. There are no magic spells that will fix anything. However, we can work with the subtle energies commonly referred to as the Law of Attraction, mojo, magic, and luck. E-book available at Smashwords and a hard copy soon to be available at Amazon. We didn't want to overwhelm you with continuous material so we moved our group-home. Be sure to visit our archived material. When looking for the origin of religion, we must look internally. Here, we find a common thread to the religious experience. These commonalities include the sensation of floating or flying, the sensation of traveling through a tunnel or vortex during an altered state of conscious. Only through these common experiences can there be a reference point that allows us to share.